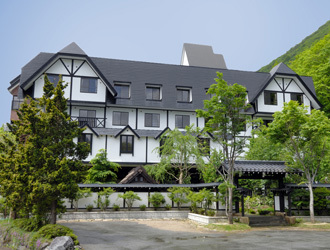 Hotakaso Yamano Hotel is a mountain resort hotel which evokes Northern Europe and standing aptly and solemnly amid a serene mountain range of Japanese Northern Alps. 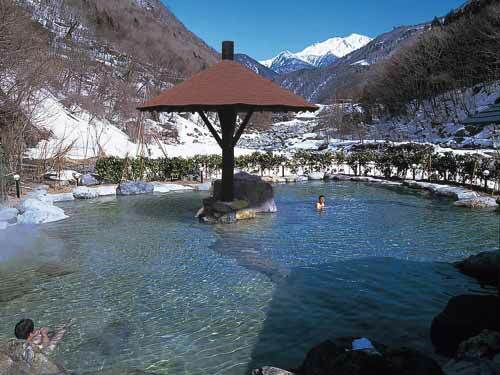 Open-air bath commands a spectacular view of Yarigatake - the highest peak in the Japanese Northern Alps. In addition, plenty of seasonal sights can be enjoyed from this convenient base. It is easily to reach Kamikochi in 50 minutes, Norikura in 50 minutes and Hida-Takayama in one hour. 90 minutes on bus from JR Takayama Station bound for Shin Hodaka Onsen, get off at Yamano Hotel mae. 70 minutes by taxi from JR Takayama Station.